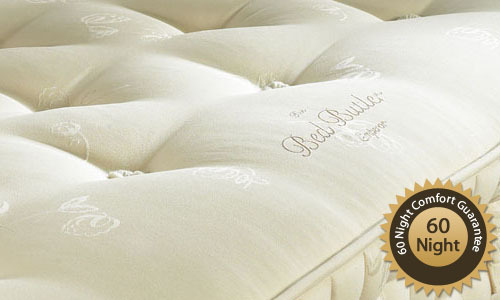 The Bed Butler Emperor Mattresses utilise the latest pocket spring technology to give unparallel support and comfort. Using experienced craftsman along with the finest materials help ensure excellence in both design and quality. 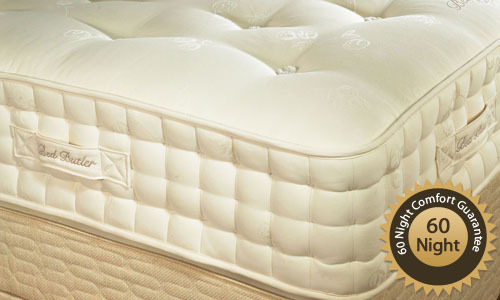 The Emperor Mattress is upholstered using 500 gm of pure lambs wool and 1250 gsm of finest cotton. This covers a layer of teased horse hair with further layers of cotton and 250 gm of silk giving greatly increased comfort. This will ensure that you will be kept cool in the summer and warm in the winter. 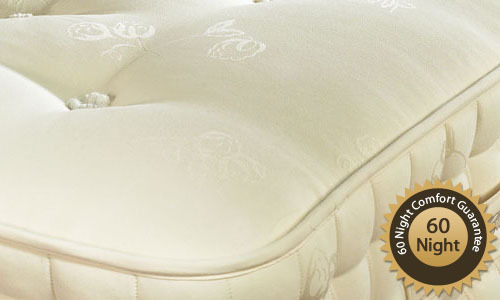 Soft wool pom-pom tufts, holding the mattress pocket springs in place, create a soft smooth and comfortable surface. 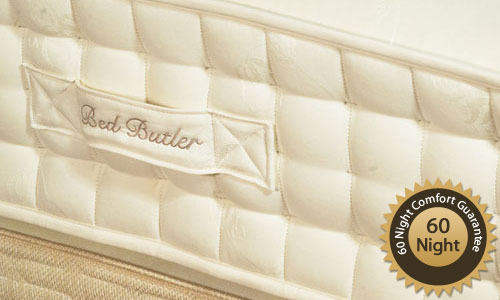 The mattress is approximately 10 inches deep with 3 rows of hand side stitching.